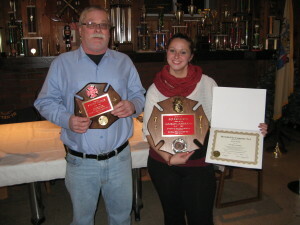 In March 2016 the fire company will celebrate its 75th anniversary. Plans are underway to hold a celebration marking this milestone later in the year. 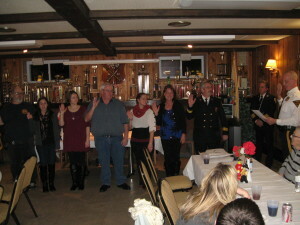 Police Chief Bob Fittapaldi administered the oath of office to all of the 2016 officers. 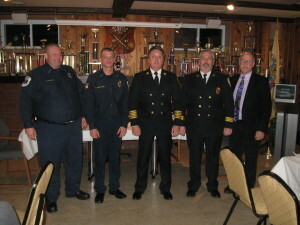 During the ceremony and reception several members were presented with distinguished service awards. 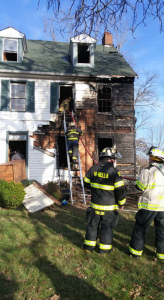 At 12:11 PM, on January 13, Task Force 69 was dispatched for a dwelling fire on the 700 block of Warwick Road. While responding, 69101 received reports of a large 3-story dwelling with smoke showing from the first and second floors, and possible people trapped. Once on location 6910 quickly confirmed that all occupants were out of the dwelling. An Initial attack was order in Division “D”, but due to the heavy storage known to exist on all three floors, and the pre-existing condition of the dwelling, interior access was extremely difficult. 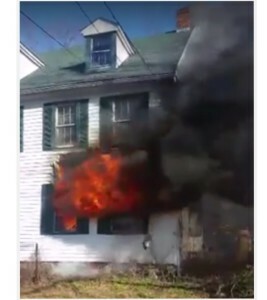 The first attack crew was quickly driven back from the dwelling, and 6910 ordered a defensive attack only. At the ten-minute mark heavy fire was reported in Divisions “A” & “D”, on floors one and two, with extension to the 3rd floor and roof. Ladder 82 went in service with master streams, and crews from Stations 691, 29, 65, 64, and 60 operated hand lines in both divisions. 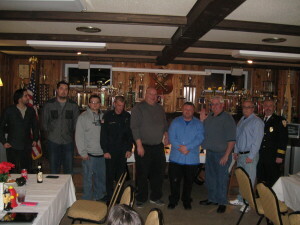 6910 ordered the “all hands” which brought Quint 75 as the RIC Unit, FM691, Rehab 13, and the County Fire Police. BLS Units 64 and 29 provided EMS assistance, and Squad 272 and Ladder 32 provided a cover from Station 691. 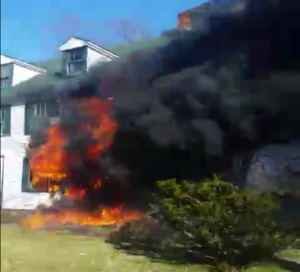 During the blaze the family dog was rescued and one firefighter was injured. Both the firefighter and dog are doing fine. The fire was placed under control at 12:59 hrs. 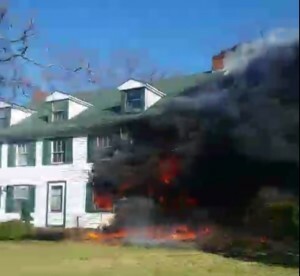 The dwelling was built in the mid 1700’s, and is the largest residential property in Hi-Nella. Over the years Station 691 personnel preplanned and studied the property many times. 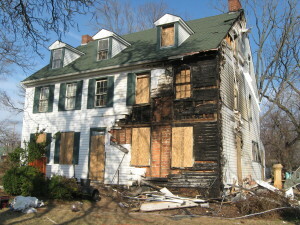 The overall knowledge of the layout, contents, and condition of the property was a major contributing factor to the successful fire ground operations. 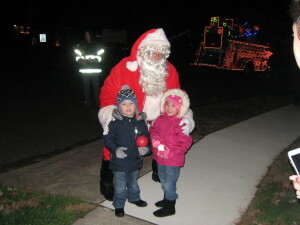 Santa made his annual visit to Hi-Nella on Saturday, December 19. 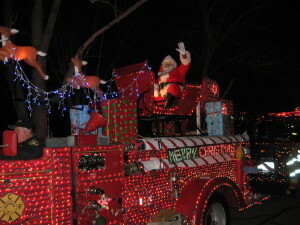 Sparky accompanied Santa’s Elves as they traveled through Hi-Nella to visit all the children. 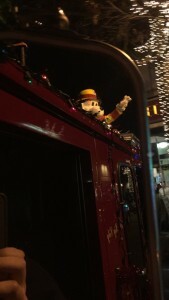 The Fire Company wished all residents a Merry Christmas and a Happy New Year. 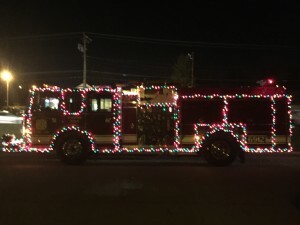 Fire Company members provided lighting, ladders, music, and hot beverages as residents joined together to decorate the towns two Christmas trees at Memorial Park on Minnetonka Road. Chief Cunningham was given the task of lighting the trees. A good time was had by all. 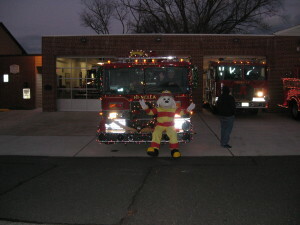 Sparky joined the crew of Engine 6912 as they offered holiday cheer at Pine Hill’s Christmas Parade. 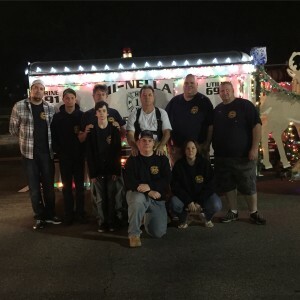 The crew of Engine 6912 led by FF Brentyn Smith attended Lindenwold’s Annual Christmas Parade. 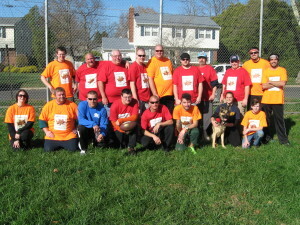 Fire Company members gathered on a beautiful Thanksgiving Day morning for our annual department football game. This year’s game pitted the Red Team, captained by Asst. Chief Mike Ali, against the Orange Team led by FF Rob Cunningham. 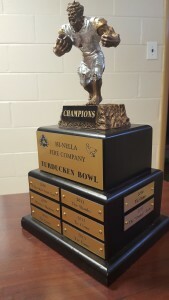 The Orange Team won the hard fought battle 42 to 28, and was awarded the coveted Turducken Bowl Trophy that’s displayed at the fire station. Our fire company family grew by one as we welcome Aria Harper Cunningham into the world. 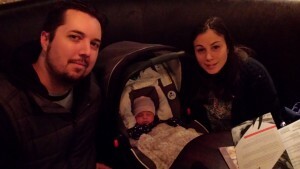 Aria is the daughter of Firefighter and General Member Rob and Nicole Cunningham.